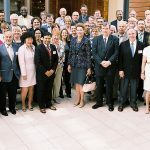 The first meeting of National Cancer Institute Directors took place at the European Institute of Oncology in Milan, Italy when five National Cancer Institute Directors enjoyed a two day meeting and Symposium. Since 2002, meetings have been extended to include Directors of Regional Cancer Institutes and have experienced a growing success with continually increasing participation. Since inception attendees representing a wide range of countries including China, India, Brazil, Russian Federation, Singapore, Japan, Sri Lanka, Thailand, Korea, Peru, Brazil, Mexico, Colombia, Australia, France, United Kingdom, Sweden, New Zealand, Germany, Italy, Belgium, United States of America, Hungary, Poland, Switzerland, Nigeria, Senegal, Zimbabwe, Cameroon, Guinee, Turkey, Tanzania, Serbia, Tunisia, Algeria, Canada, Nepal, Bangladesh, Ireland, Pakistan and Sierra Leone have been in attendance. 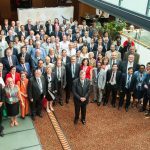 The eighth meeting of National Cancer Institute Directors took place in Lyon between 10th and 12th July, 2013 as decided at the previous meeting. 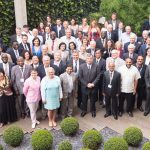 The previous meeting attracted 80 participants from 45 countries at varying levels of income and resource level. The 2013 meeting attracted a great deal of interest and several projects initiated at our last meeting have come to fruition and the results were presented this year. CLICK HERE for presentations of the event. Please contact comm@i-pri.org for the password. As requested by participants, the focus on cancer care continued to increase with the sharing of experience in a wide variety of resource settings highlighted. Highlights this year included the announcement of the State of Oncology Report and the State of Oncology in China Report; presentation of The Global Fund to Fight Aids, Tuberculosis and Malaria; update on breast cancer treatment; diabetes and cancer; prevention of non-communicable diseases; presentation of current status and issues in population screening in high-income and low-income countries and presentation of the Strathclyde Institute for Global Public Health at iPRI. Last year, the Alliance of Cancer Institute Directors was announced and this year it was formalised. 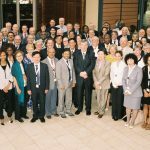 Presentations at these meetings have underlined the great need for effective and sustainable partnerships to achieve practical cancer treatment and control. Many Institutes work in isolation and would benefit from a platform to share knowledge and ideas on the implementation of modern cancer treatments and prevention strategies. The development of an Alliance of Cancer Institute Directors would aim to help achieve these goals. The proposal now is to develop an Alliance around this Annual Meeting. Registration fees shall involve a one-time payment of a banknote valued at the lowest unit of local currency for an individual membership and 10 units for an entire Institute. During the meeting, elements of a possible constitution shall be discussed and agreed. The growing cancer burden worldwide presents major challenges for public health and healthcare delivery in all parts of the world. It needs also to be recognised that there are two types of individuals at the centre of this forthcoming epidemic: those patients with cancer and those at risk of developing the disease. Delivery of effective cancer care to patients in countries at all resource levels is of crucial importance. It is also critical to identify and implement effective cancer prevention strategies to contribute to reducing the cancer burden. A key message is that we must lose the silo mentality and consider prevention of all non-communicable diseases simultaneously. 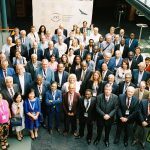 On behalf of iPRI and the World Prevention Alliance, I would like to thank you for your participation in this meeting where your expertise will be invaluable in contributing to worldwide cancer prevention.